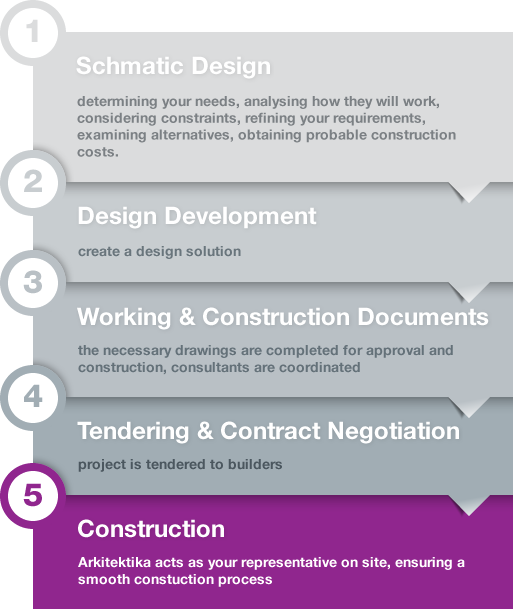 Arkitektika provide flexible Architectural services tailored to your needs. Arkitektika provides highly skilled and flexible architectural services that tailored to each project. In delivering our services we consider the ultimate project goals and overlay this with all the external factors to enable us to deliver highly successful project. Our experienced team of residential, commercial, resorts and community infrastructure architects are specialists in tropical and subtropical contemporary design. We deliver creative design to suit the needs and aspirations of our clients, respecting the site and budget, while sensitively addressing climate and the environment. Our practical, flexible and well thought out architecture is sought out time and time again. In delivering our services Arkitektika works with developers, builders, consultants and individuals to deliver successful projects. Over the years we have been celebrated for many of our designs. To see a list of all our awards, click here. Documentation for building approval and construction. Coordination of associated building consultants. Negotiation and liaison with authorities to obtain development and building approvals.